Hey, you! College student in journalism school. Want to help run our social media this semester? How about designing a fresh new site? Helping run the newest (and most beautiful) magazine around? We’d love to have you! 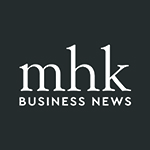 Send us a note at editor@mhk.business or send us a message for more information! Know someone who this might fit well? Send them our way! Thank you! We’ll be in touch shortly! Glad you’re here!